We’ve all heard the term before, but what is stock Android exactly? Stock Android, also known by some as vanilla or pure Android, is the most basic version of the OS designed and developed by Google. It’s an unmodified version of Android, meaning device manufacturers have installed it as is. Android is an open-source operating system, which means companies can modify it to their liking. They do so by adding what’s known as a custom skin or user interface on top of the OS, which changes its look and feel as well as adds new features. These skins include Samsung Experience, HTC Sense, EMUI (Huawei), and OxygenOS (OnePlus), to name a few. Some skins, like Huawei’s EMUI, change the overall Android experience quite a bit. For example, until EMUI 5.0 came along, owners of Huawei smartphones didn’t have an app drawer. All the apps installed on a device were placed on the home screen, just like on iPhones. On the other hand, we have skins like OxygenOS from OnePlus that have a different approach. OxygenOS looks and feels almost exactly like stock Android but does have a few extra features on board. These include Reading Mode that filters out blue light for a better reading experience, and App Locker which secures your data-sensitive apps from prying eyes. The software also allows you to open an app of your choice by drawing an O, V, S, M, or W on the display while it’s turned off, and much more. With stock Android, you get none of that — you only get the features developed by Google. But that’s not necessarily a bad thing. Stock Android has many advantages over customized versions of the OS. The biggest advantage of stock Android is fast updates. Smartphones running it are among the first to get upgraded to the latest versions of OS, while owners of Samsung, LG, and other smartphones typically have to wait for quite some time to get an update. That’s because these manufacturers have to modify a lot of the software before they can release it, which isn’t the case with stock Android. The second reason is that stock Android smartphones are bloatware-free, meaning they don’t come pre-installed with apps made by the manufacturer that you’ll likely never use. For example, some handsets come with their versions of calendar and fitness apps (and many others), which are already on the device courtesy of Google — or can be installed from the Play Store. What’s worse is that these apps usually can’t be deleted from a device, unless you root it. That brings me to the next advantage of stock Android, which is storage. All those unnecessary apps take up space that you could use for something else. Also, the OS itself takes up more room due to the many bells and whistles that were added to it by the manufacturer. In other words, stock Android typically takes up less space on your device compared to modified versions of the OS. Stock Android has a clean, minimalistic design. Stock Android also has a clean, minimalistic design many people love. It can be very different from some Android skins out there that look way too colorful for my taste or even dated — although this is subjective and might be a good thing for some. The simplicity of the operating system makes it a great choice for newbies, as it can be a lot easier to use. 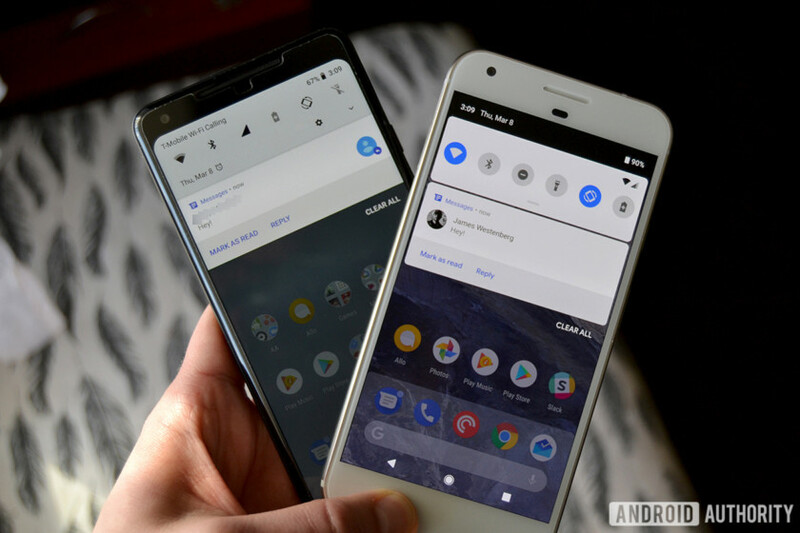 Google’s variant of Android can also work faster than many customized versions of the OS, although the difference shouldn’t be massive unless the skin is poorly developed. It’s worth noting that stock Android isn’t better or worse than skinned versions of the OS used by Samsung, LG, and many other companies. It’s just different. Which one is a better option for you comes down to your personal preference. 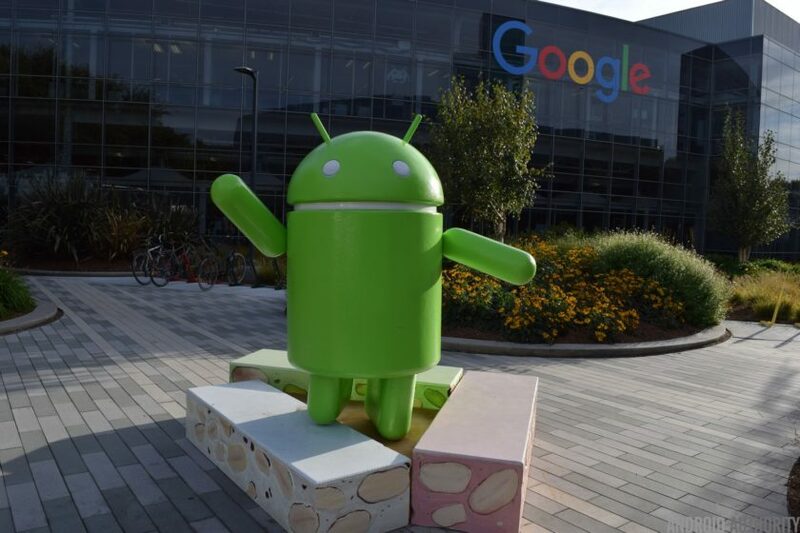 The most popular stock Android smartphones are those made by Google. These include the Pixel, the Pixel 2, and the Pixel 3 handsets as well as older Nexus devices. HMD Global, which launched smartphones using the Nokia brand starting in early 2017, also uses stock Android. The next on the list is Lenovo. The Chinese manufacturer announced back in August 2017 that it will ditch its Vibe Pure UI and ship all its future device with stock Android on board — the first one was the K8 Note. Then there’s also Essential, which makes sense given the fact its owner, Andy Rubin, co-founded Android before it was acquired by Google in 2005. Unfortunately, this phone is no longer available from the company directly. And let’s not forget about Android One handsets. Android One is Google’s program that brings a stock version of the OS to smartphones. These include models like the HTC U11 Life, Xiaomi Mi A1, the Motorola One and many others — see the full list here. Android One was originally designed for entry-level smartphones and targeted at emerging markets but has since been reinvented and sort of replaced by Android Go. What are your thoughts on stock Android? Do you prefer it over customized versions of the OS found on Samsung, LG, and many other smartphones? Let us know in the comments.